The Columbia River opened back up for spring chinook fishing, so my friend John and I decided to try the Willamette River on Saturday to avoid the crowds. We launched John's North River at the Swan Island boat ramp shortly after 7 AM. The weather was overcast with occasional sun breaks and light wind. The water temperature was about 48° and still pretty turbid. The ramp was not crowded, nor was the river. 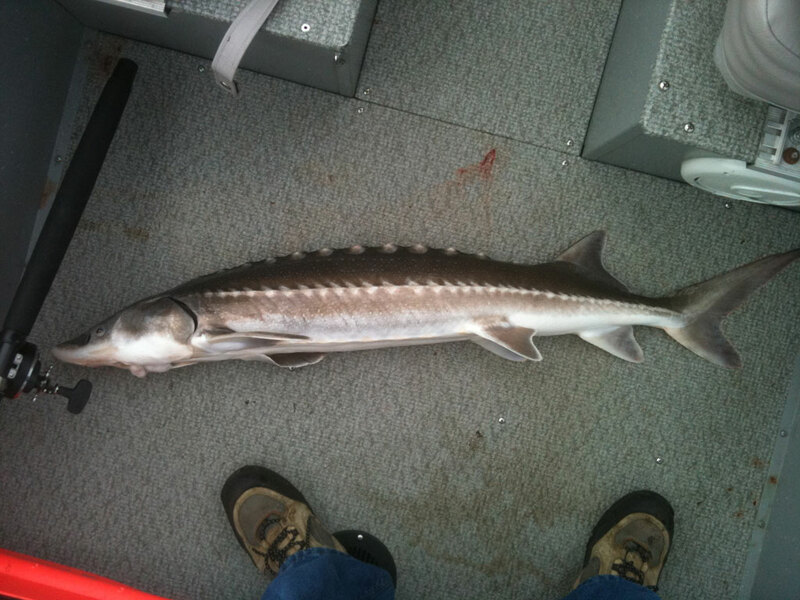 Instead of snowshoeing on Mount Hood today (due to poor weather), I decided to go sturgeon fishing with my friend John. 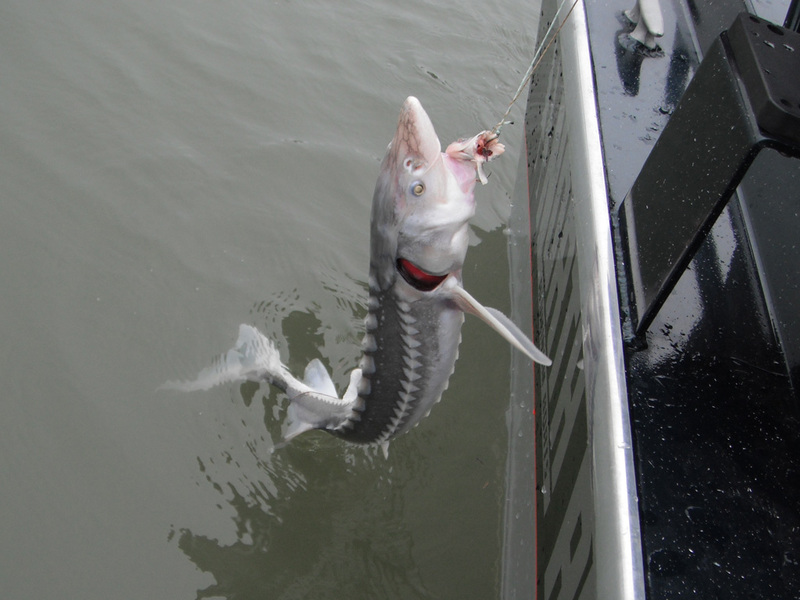 Experts claim White Sturgeon (Acipenser transmontanus) numbers have been declining, so fishing is currently catch-and-release only. No fish for the table this trip. We launched John's North River boat at Meldrum Bar just as it was getting light. 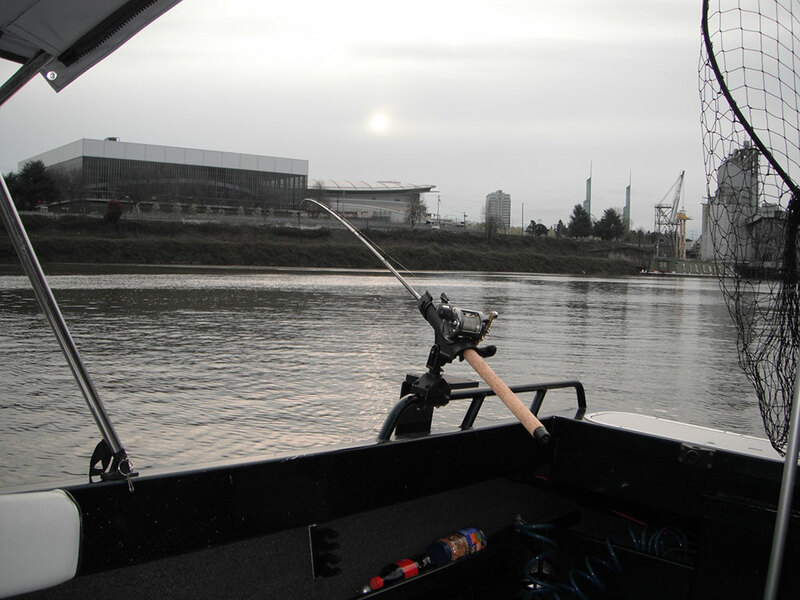 We saw a few other boats set on trying to catch one of the first few salmon in the Willamette River. Lucky for us, it was not crowded and we had most of the river to ourselves. Sturgeon fishing opened back up on the Willamette River, so I headed out on my Klamath boat with my buddy Tyler before sunrise. We put in at Meldrum Bar which was a zoo. It was worth it through. We had lots of action and between two boats and 4 guys we landed three keepers by early afternoon. The bite was hot for awhile on smelt, but then died by about 10 AM. The picture below is the 39" keeper I landed.